Washington (CNN) – A Republican-backed attempt to give local and state governments greater power over their school systems, while reducing federal education funding, passed the U.S. House on Friday, though it was expected to face Democratic resistance in the Senate and President Barack Obama has vowed to reject it. The measure was the first major attempt to replace the “No Child Left Behind” law that was signed by President George W. Bush in 2002, but later expired and has not been renewed. That act came under fire from both Republicans and Democrats for setting unreasonable school standards through its adequate yearly progress provisions, which were eliminated in the Republican bill that passed Friday. Instead, the measure would require states to develop their own gauges of teacher accountability and eliminate federal intervention into failing schools. Federal education funds, currently distributed through various programs, would instead be reallocated through block grants to states and sharply decreased. 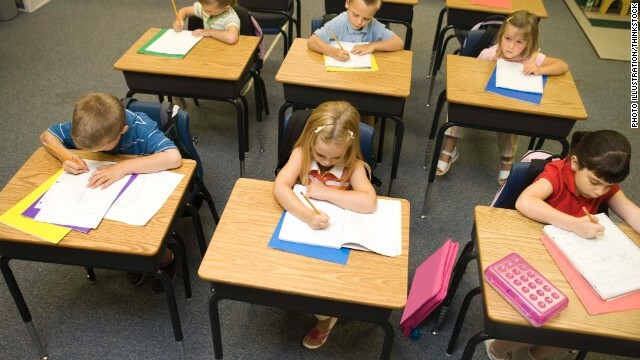 “This is a monumental step forward in the fight to improve the nation’s education system and ensure a brighter future for our children,” Rep. John Kline, the chairman of the House Education and Workforce Committee, said in a statement following the vote. “The Student Success Act will tear down barriers to progress and grant states and districts the freedom and flexibility they need to think bigger, innovate, and take whatever steps are necessary to raise the bar in our schools,” Kline said. The mostly party line 221-207 vote means the package will advance to the Senate, though Democrats who control that chamber have proposed their own education overhaul which vastly differs from the House legislation. Senate Democrats want to allow states to determine their own measures of school success, but mandate those systems be approved by the federal Department of Education. Both Republicans and Democrats have agreed for years that “No Child Left Behind” needs a major overhaul. The president has been critical of the lack of congressional action. In 2011, the Obama administration announced that states could apply for waivers from some provisions of “No Child Left Behind” if they meet other federal mandates. So far, 39 states have done so. CNN Congressional Producer Alan Silverleib contributed to this report. The bill should be called "no child left with federal educational funding." Republicans want your kids to be born. After your kids are born, they are on their own. Can someone explain to me how "sharply decreased" Federal Eduction funding will be "a monumental step forward in the fight to improve the nation’s education system and ensure a brighter future for our children"? Don't get me wrong...the way the funding was distributed under No Child Left Behind was ridiculous and needed to be removed but, but cutting back education money...wow. How short sighted as a society are we? ""Obama threatened on Wednesday to veto the House Republican bill should it arrive on his desk, saying the measure “would represent a significant step backwards in the effort to help our nation's children and their families prepare for their futures""
""Both Republicans and Democrats have agreed for years that “No Child Left Behind” needs a major overhaul""
answer: 'ol Dubya started this originally, and it was a failure ever since, always have been, always will be a failure. No Child Left Behind, did just that. Texas deploma graduation rates whent to less than 50%. Another case where bad Bush policy in Texas lead to National disaster. In this area I agree with the Republican Party, provide standards to education in each state but let them administer them. More of the same from Republicans. NCLB was a reaction to states and localities not doing their jobs in education. Republicans need to offer solutions not simply saying no to everything they don't like. obama and the democrats won't support anything that doesn't involved federal control of everything. leftists always want total control. letting other control anything would interfere with their brainwashing of the young. math, science and history are so old school. the leftist agenda of open borders, unfettered abortion and bogus green energy must be taught instead.